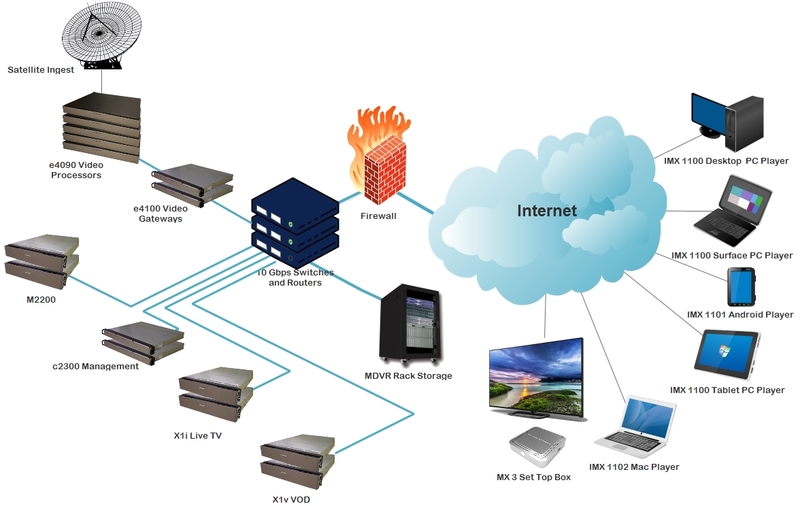 IPTV Multi-Device Video Gateway - MatrixStream Technologies, Inc. 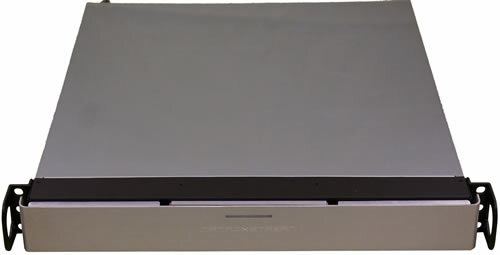 The IMX e4100 multi-screen video transcoder is designed to help translate a single stream video into multiple video streams for multiple devices. Today, every single customer owns multiple devices with different screen sizes that are capable of playing videos. With IMX e4100 video transcoder, IPTV operators can offer streaming videos over the Internet to variety of devices including HD set top box, PC player, iPhone player, iPad/iPad 2 player and Android mobile player. The e4100 is able to take one single video stream input from IMX e4090 video encoder and transcode it into multiple streams based on devices supported. Supports variety of video formats including: HD set top box, PC video, iPhone video, Android mobile video, iPad/iPad2 video and others. Optimized to transcode single stream video into multiple screen formats. 6 Gigabit Ethernet LAN ports provide additional performance and redundancy. Seperate ethernet ports for stream ingestion and output. Work Seamlessly with MatrixStream Server Series – IMX e4100 video transcoders are optimized to support MatrixStream’s MatrixCast Streaming protocol over the Internet. This means IPTV providers can stream broadcast quality high definition videos over the Internet.